A while back, the PCI council published a good article called the Ten Common Myths of PCI-DSS, to basically debunk a few conclusions people (or so they think) might have on PCI-DSS. After wading deep into this standard for the past 6 years, I am taking a look again at these myths and I am like, Wait a minute, this isn’t exactly correct. This myth is hard to beat. It’s obvious that one vendor and one product doesn’t make anybody compliant since PCI-DSS is so much more than a product or an implementation. It’s the practice of security within an organisation itself. But wait. Not all PCI projects are created equal, and here’s where we call ‘scope reduction’ comes into play. It is possible that a product can significantly reduce scope so much so that it’s almost easy to become compliant. For instance, tokenization. This is a solution created to remove the need of dealing and storing actual card data in a merchant environment. Instead a token is used and is mapped in the token vault provided by a service provider. Hence, the merchant does not have the key or means to decrypt. Of course, they still handle the first time card data is transmitted through, but it removes the need of the merchant to completely fill the dreaded SAQ D-MER as they no longer need to store card data. Or P2PE for instance. When it started, the solution was to provide a point to point encryption so that merchants need not have the means to manage the keys or decrypt the data. Of course, P2PE bombed and they had to revise the standard to make it more realistic. Again – if you outsource card processing, it might not immediately make you compliant but it sure as heck make it a lot easier to be compliant! With the new revisions of SAQ, we have the nicely flavoured SAQ-A and SAQ A-EP for ecommerce merchants to deal with, to avoid the death knell of SAQ D-MER. There are like 9 flavours of SAQ (self assessment questionaire if you are wondering), and merchants might differ in their journey of PCI depending on their business. Outsourcing to a PCI compliant card processor or payment gateway is a great way to reduce your scope. So while this myth is correct, outsourcing is still a great strategy if payment processing is not your core business. Everyone will nod their head in the board room and steering com and agree to this one sagely. But from experience, I will tell you, whether it’s business or IT project – IT guys will be significantly involved in it. If you think you can breeze through this sucker the way you championed through ISO27001, you are in for a little surprise. A large part of the 12 requirements deal with technical requirements, from firewall configuration to antivirus to logical access controls. Logging and key management are significant challenges we find, and an entire requirement 6 deals with patch management and secure coding practices. So, if you are not familiar with terms like OWASP, KEK, DEK, WSUS, TACACS/ACS/LDAP, XSS, CSRF,CVE and all these, it’s time to get cracking. Having done both ISO27001 and PCI, we can say the ISO is more of a best practice/guideline on security while PCI is a standard. It’s either you do or do not. There is no try. I know what this myth is trying to say, but technically, if you are practicing PCI, you are a heck lot more secure than someone that’s not. Besides, being ‘secure’ isn’t a final state to be – it’s not possible, but rather it should be a constant practice of a hundred different activities to contribute to ‘being secure’. It’s like when people talk about ‘enlightenment’ or ‘world peace’ – it’s not actually achievable – and even if it is – it’s not sustainable. So yes, PCI will make you secure , relative to the company that has their server under a marketing director’s desk and the password “PASSWORD”. Obviously, PCI Council wants you to think this (again, they are saying these are myths, so whatever you read, PCI Council is asking you to think opposite). They are saying, PCI is reasonable, it doesn’t require much. I mean, OK, if you say SAQ A or A-EP, fine, agreed, it’s a breeze. But if you are talking about SAQ D or a full cert? Unless you have unlimited resources, money, time or already practicing some Level 5 Maturity of security, then you need to really look into managing PCI. Most of our clients aren’t in that state, so when you talk to them about the amount of work needed? Oh boy. Let’s say they have 40 devices in scope. Multiple applications, running on multiple servers. Several layers of firewalls. Firewall rules need to be clean. Sounds easier than it is. The amount of legacy rules we see in some clients would make you think that firewall has been around since the internet was invented. Server upgrades due to EOL. Network changes because the database is accessing the internet directly. Applications not patched. Devices not updated. Logging not centralised. No correlation of logs or event management. No incident management. No central management of passwords and users. Applications developed eons ago and developers have since left the company with the only document being a note saying, “Goodbye and thanks for all the fish!”. You get the drift. Look – PCI is really useful and it’s not the intention to discourage people from going for it – but it would be great to be better informed so that expectations can be synced to reality. 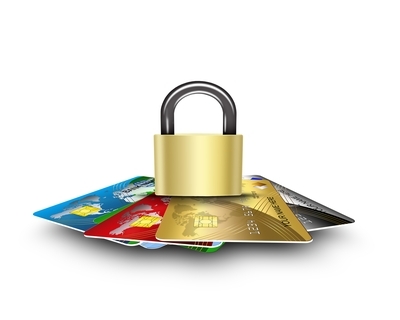 In the next article, we will cover the remaining myths of PCI. This entry was posted in ISO27001, IT Audit, IT Compliance, PCI-DSS, PKF Avant Edge and tagged ISO27001, malaysia, myths, PCI-DSS by pkfavantedge. Bookmark the permalink.